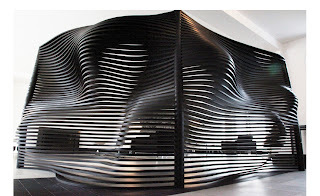 This has got to be one of the coolest looking room divider out there. It's always very difficult to find something that looks amazing while dividing up a space. Most of the time, the screen just looks like..... a screen... Seldom do they elevate to something you actually want to put one in a room because they contribute to a space aesthetically. 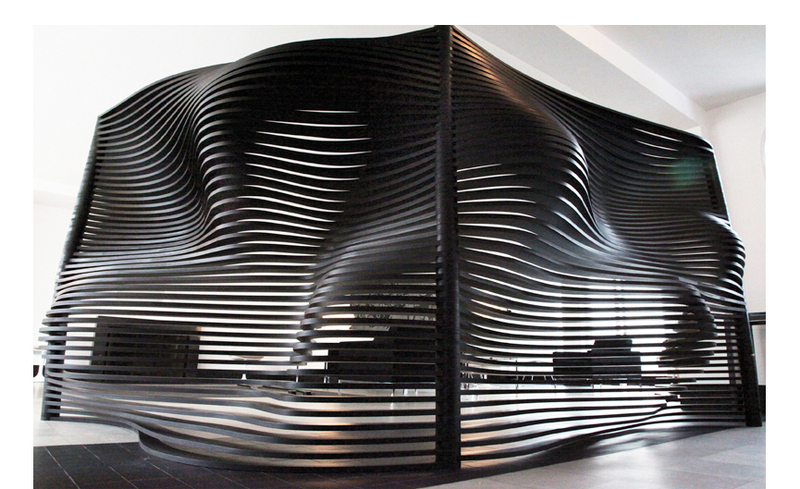 Characterized by an organic and pleasing appearance, this room divider is about the phenomenon of light. Light is always moving, and due to reflection, refraction and shadow, leaves behind a fantastic impression. To make one feel the movement of light, I divided the wavy sides into many layers so that they reveive light from different angles and reflect it at different angles. As a result, the fixed mass feels like it is changing and moving according to the position from which the viewer sees it. Screen can be purchased here.